Current Offers And Recommended Websites. On this page I have listed those suppliers who I have pesonally used, now that does limit them to UK based suppliers, If you wish your site link to be included then please send an email to Growing Your Own Veg and we will be more than happy to consider it. It also now includes some suppliers recommended by readers from other countries. 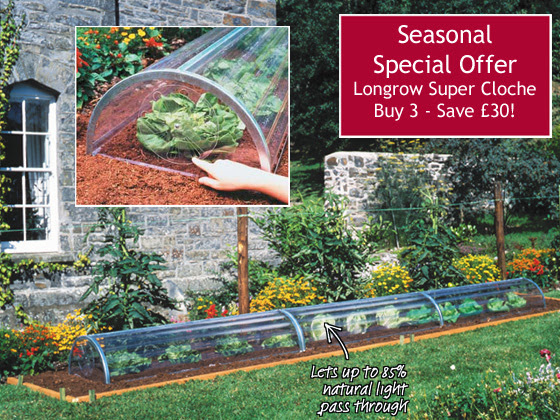 They have an offer on the high quality Longrow Super Cloche with a £30 saving when you buy 3. This cloche really is a must for gardeners keen to give their crops the best start and to provide some winter protection for delicate ones. It has a very strong galvanised steel frame (with legs that push into the ground), covered with UV stabilised shatterproof PVC and is large enough to house a wide range of crops from dwarf beans to strawberries. Tough enough to withstand any extremes of weather, yet lightweight, the Longrow Super Cloche can easily be ventilated by turning the circular end panels. Measures 115cm long x 47cm wide x 25.5cm in the centre. Why am I recommending a Turf Supplier on a Site Dedicated to Growing your own Vegetables? The answer is as well as being Britains leading supplier of turf, they also supply high qualityTop Soil specifically for fruit and veg. Suttons are one of the UK’s leading Seed & Plant Suppliers. They offer a wide range of Gardening products such as Flower & Vegetable Seeds, Flower Bulbs & Plants, Sweet Peas, Fruit Plants and Trees. Suttons have an excellent website, with a wide range of products with comprehensive growing guides. 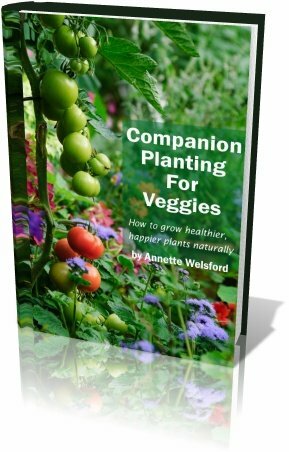 Making gardening easier for both new & experienced gardeners. Dobies are a long established company who only sell direct to home gardeners through their catalogues and website, offering real value for gardening enthusiasts. Choose from a full range of flower and vegetable seeds, bulbs, fruit, plus annual and perennial plug plants for pots, patios and all around the garden. Vegetable plants direct is a leading supplier of ready to grow vegetable plants by mail order to the home gardener with over 300 varieties to choose from all delivered direct to your door ready to plant. Nature Hills Nursery offers one of the largest selections of high quality live plants and related products, complete with extensive plant information, combined with an exceptional level of customer service.